BATON ROUGE, La. 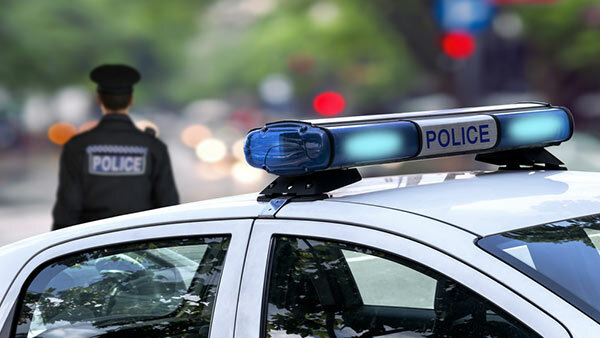 -- Louisiana has become the first state in the nation to expand its hate-crime laws to protect police, firefighters and emergency medical crews. Democratic Gov. John Bel Edwards, whose family includes four generations of sheriffs, signed the law on Thursday. He said it protects "men and women who put their lives on the line every day." "Coming from a family of law enforcement officers, I have great respect for the work that they do and the risks they take to ensure our safety," Edwards said. Prosecutors can now seek stronger penalties when first responders are intentionally targeted because of their professions. That's a departure from the other more essential characteristics hate crime laws protect, such as a victim's race, religion or gender. People convicted of felony hate crimes in Louisiana face an additional five years in prison and up to a $5,000 fine. Penalties increase by $500 or up to six months in prison in misdemeanor cases. Some advocates worry that adding jobs to the list weakens these laws, and complicates the relationship between police and the communities they serve. Louisiana law enforcement already reports hate crimes at a considerably lower rate than police do in states of similar sizes, according to FBI data. As in other states, Louisiana law already provides for increased penalties when police are attacked. But Rep. Lance Harris, R-Alexandra, said he brought the bill to protect first responders after several seemingly targeted attacks recently, and found overwhelming support in the House and Senate. Col. Mike Edmonson, the Louisiana state police superintendent, pointed to the death of Trooper Steven Vincent, who was fatally shot in August 2015 after stopping to assist a motorist whose truck was in a ditch. The Louisiana Legislature honored Vincent's family during its regular session. "For those individuals who choose to target our heroes, the message formalized in this legislative act should be clear and the consequences severe," Edmonson said in a statement. Similar Blue Lives Matter bills have recently stalled in five other states, according to the National Conference of State Legislatures. A federal Blue Lives Matter Act is being considered in Congress. "This law is in response to the work of Black Lives Matter. They're targeting young black people who are standing up and demanding more from our government," said LaToya Lewis, co-chair of the New Orleans chapter of the Black Youth Project 100. The Anti-Defamation League and other advocates for minorities had also called for a veto, saying the law could dilute the importance of hate-crime laws at a time when they already feel under-protected. The Louisiana District Attorneys Association took no position on the measure, but some prosecutors said they do not expect it to change their approach.